Note: All prospective investors and investments will have to be screened in relation to the regulation restrictions of their jurisdictions. You've kept up to date with SpaceX launches, Virgin Galactic test flights, and the new technological innovations to send humans to the Moon or Mars, and return them. The implications are well above that of re-usable rockets and first class tickets to space; new markets are opening up, space commerce is here yet the exact niches are yet to be defined. The lowering of the cost of launch and the inevitability of space tourism are just the beginning. 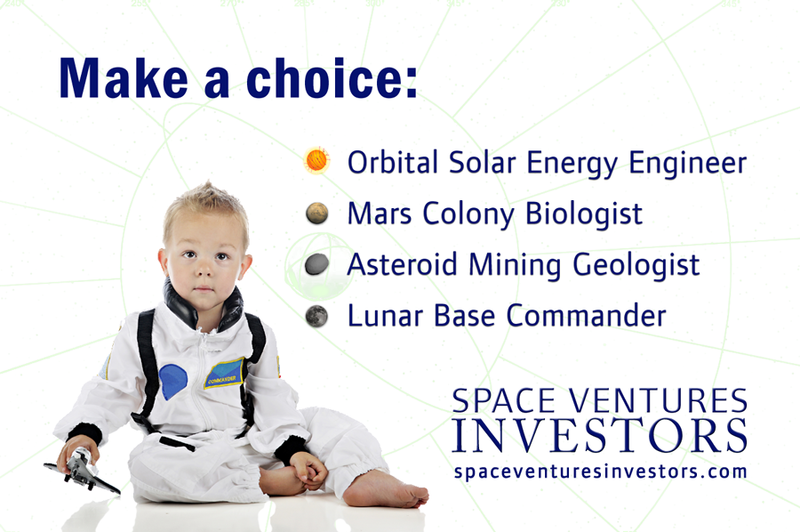 Yet how do you invest in space when there are so many companies, technologies, and start-ups? For a balanced exposure to space commerce, get in contact. The gradual generation of wealth, the preservation of capital throughout the generations, and the opportunities that come once in a lifetime, are real and tangible events that need to be researched, modelled and strategically invested in. For High Net Worth and Angel Investors there are different strategic investments that can be made into space commerce; To be part of it, it is merely a question of risk appetite, expectations on the return on investments, and knowing what to invest in. 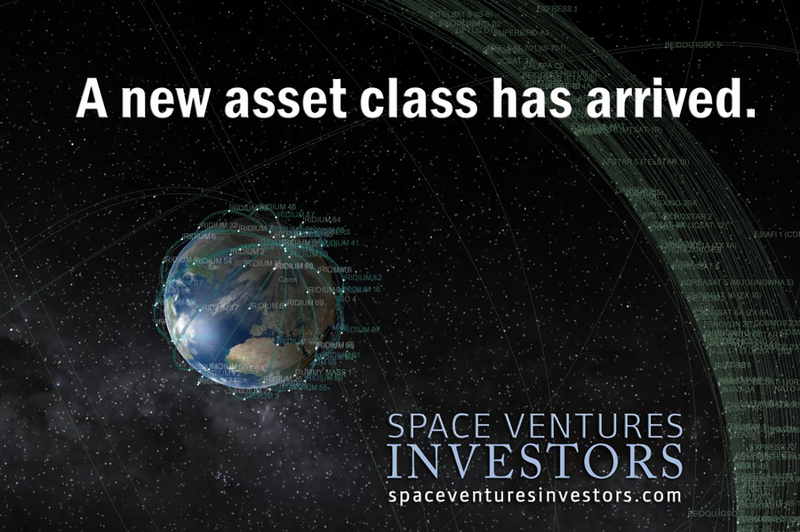 To be a key investor in new space startups and companies, get in contact. The scaling-down of launch costs, plus the tooling-up of developing economies into high-tech space hubs, means that new space manufacturing, production and services companies will have a competitive advantage. Part of their growth will be through Mergers and Acquistions, Financing, and potential IPOs. Right now the miniaturization of space technology like CubeSats, the downstream data applications for B2C and B2B markets, and the new talent making it all happen, is the next market to be in. For consultancy, due diligence, and game-changing disruptive space investments, get in contact. An unmanned, re-usable orbital vehichle capable of space debris removal, delivering small satellites, and manufacturing in space. An intercontinental autonomous navigation system for shipping. 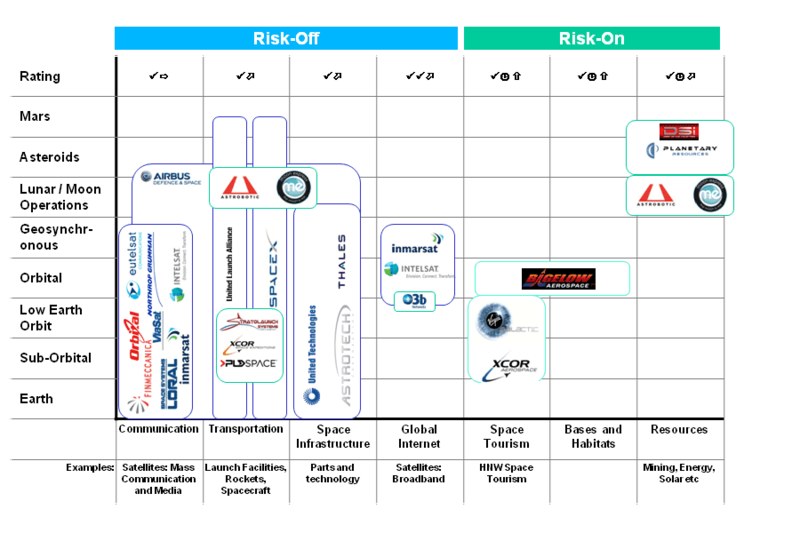 Positioning in-orbit commodities trading facilities from Earth's geosynchronous orbit to the Moon, servicing Government and Private operations. Researching long-term business models, the technology, and the opportunity of when and how to enter this highly complex but lucrative field. How much would you invest in a space and for how long? Will Asteroid Mining Crush Fiat Economies / Paper Currencies? | Niche businesses will unlock massive change in energy and precious metals. A Recap of New Space in 2015 and What is Coming in 2016 | Private Space Companies outpace Public Space. The Effect of Quantitative Easing on the Space Industry | The Universe is Expanding, So Why Not Expand the Money Supply?